Microscope World is introducing three new WiFi digital microscopes. Each microscope has a WiFi digital camera built-in that provides high-speed, high-resolution images directly from the microscope to any student's iOS or Android device. Students can view the microscope image on their tablet or laptop during class. A free App is available for download for devices that connects directly with the microscope. 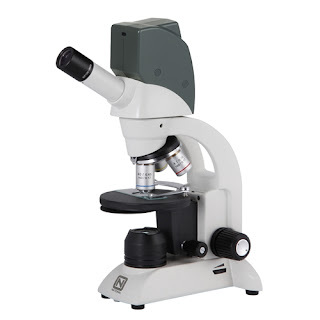 The basic student microscope DCX-205-RLED provides WiFi and digital images, as well as operation without use of a computer. 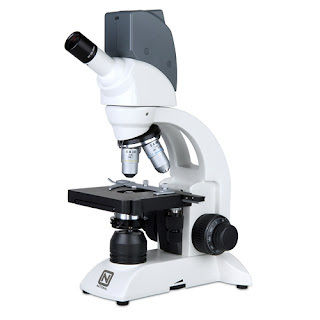 The more advanced student microscope DCX-213-RLED has a mechanical stage and provides WiFi and digital images, as well as operation without use of a computer. The most advanced version of the WiFi student microscope is the DCX-214-RLED. It offers the same features as the DCX-213-RLED, but also has 1000x magnification.